A big thank you to Sage Stossel for these wonderful snow photos. 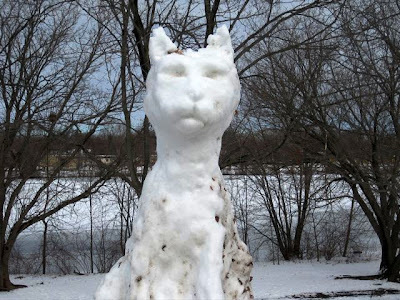 The cat is from Belmont, Mass. 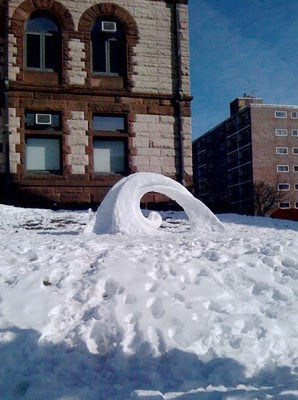 and the wavelike snow sculpture was in front of the Cambridge, Ma. Town Hall. 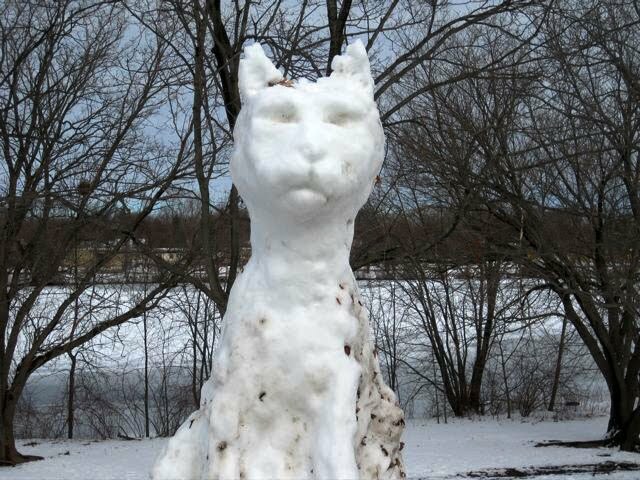 Tired of Turkey...but ready for some Snowmen! 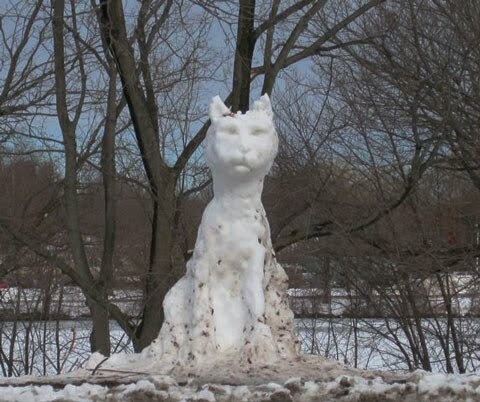 Early Snowman Sighting in CA! Look Inside the NEW Book! 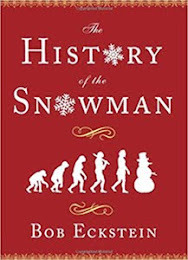 Hardcover & an Audio Book Available. 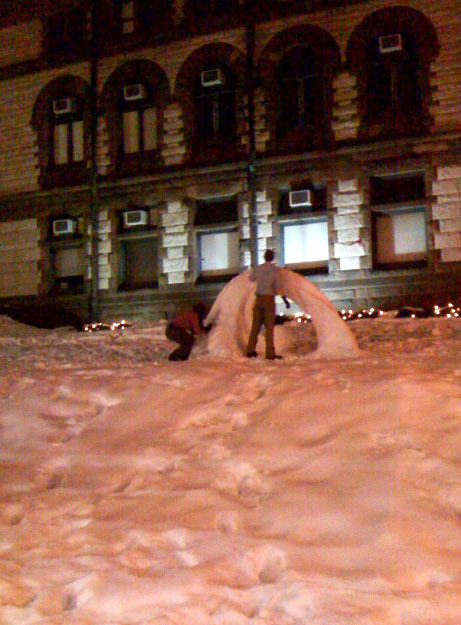 Where it all began.... snow sells! 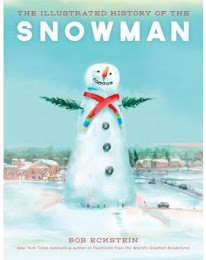 For the original History of the Snowman click here. Ball Ornaments from the Glass Ornament Shop. 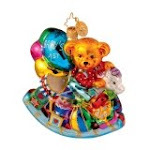 Find a large selection of ball Christmas ornaments many of which can be personalized. 1000+ glass Christmas ornaments. Radko baby ornaments for your baby's first Christmas. Many can be personalized with baby's name and more. Merry Stockings offers personalized Christmas stockings... they even have a stocking with a snowman! Looking for that perfect tree? Christmas Trees Traditions helps you find a Christmas tree grown by an American grower–BEST PLACE TO FIND A TREE. Are you really into Christmas? Today's Snowman recommends Christmas Hampers as the best way to send a wonderful, delicious gift–wines, cheeses, sweets and many other choices all creme de la creme and elegantly presented for the holidays. Bradford Exchange has great selection of unique Christmas gifts for mother that will make your Christmas a whole lot easier!